In the quest to realize the home of their dreams, homebuyers and homeowners are increasingly turning in a familiar direction—renovation. Housing inventory continues to be tight across the country and the price of new construction homes are often out-of-reach for first-time buyers. As a result renovating is becoming an increasingly popular choice across the housing market, from Millennials looking for a starter home to older homeowners who are hoping to spend their golden years in their residence. To get a sense of what’s out there, we explore what’s popular in renovation, what’s DIY, and which projects you might want to leave to the experts. Aging in place retrofits meet the needs of aging individuals who want to remain in their home for as long as possible, while still enjoying the same accessibility and quality of life to which they’re accustomed. Common renovation ideas might include knocking down walls to create a more open floor plan, or modifying rooms to create a larger turning radius in a laundry room or bathroom. Larger and more complex projects might include creating a floor-level master bedroom, or creating a deeper garage to make storage—that would have been otherwise stored in an attic—more accessible. According to the National Association of Realtors, nearly 90% of homebuyers in 2018 purchased a previously owned property. Renovating makes sense from a financial standpoint, as well as stylistically, as it allows millennial homeowners to put a personal imprint on their first home. 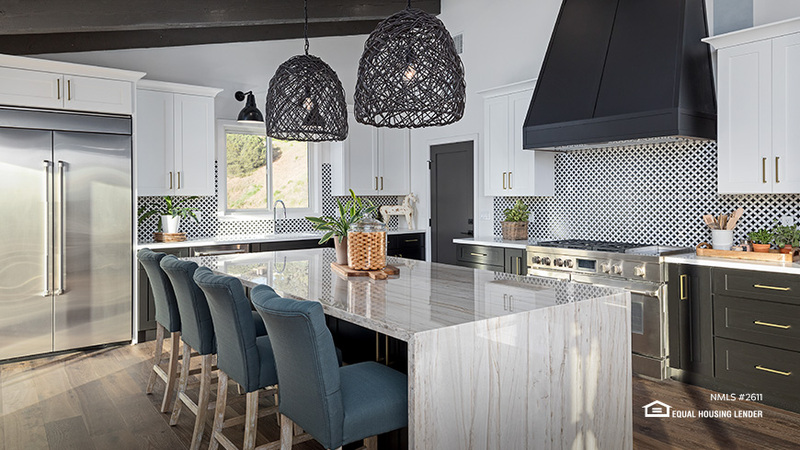 Younger buyers often take their inspiration on renovation trends from Pinterest, with high demand for farmhouse décor featuring exposed wood beams and repurposed wood furniture. Millennials are also asking for lots of outlets and charging stations for their many laptops and mobile devices. Landscaping is also high on the wish list, with frequent request for upgrades to existing patios, terraces and gardens. The water closet is another spot where homeowners are opting to revamp and refresh their space. One hot reno trend is to install matte-black hardware for bathrooms. The neutral, shine-free fixtures create a sophisticated visual statement, and lend any bathroom a more modern and sleek look. Another popular choice is to add a floating vanity, which can both help make the room look bigger as well as make cleaning a bit easier. And the installation of floor-to-ceiling tile can help give bathrooms a more cohesive look while also creating a moisture-and-water resistant surface. The nice thing about bathroom renovation projects is that many can be achieved on your own (when combined with some solid online tutorials). As one of the most used spaces in the home, your kitchen has huge functional value, while at the same time can carry a big stylistic punch. But antiquated design ideas, bad wiring, or drab color schemes can leave many homeowners wanting an upgrade. Popular renovation ideas include installing open shelves for an open, French farmhouse look (for millennials and non-millennials alike) or ditching clunky cabinets with sleek, easy-gliding replacements. You can also opt for a purely stylistic upgrade, like glitzing up your space in all brass, installing a backsplash of colorful tiles, or going full-out glam with marble countertops. Guaranteed Rate’s team of renovation specialists is ready to help you navigate the construction and financing process, with a smooth and hassle-free digital process. Project Renovation: Ty Pennington talks to Jennifer in Chicago about her recently renovated home. Jennifer says "Don't be afraid of a fixer-upper, you just have to have a little vision." Applicant subject to credit and underwriting approval. Not all applicants will be approved for financing. Receipt of application does not represent an approval for financing or interest rate guarantee. Restrictions may apply, contact Guaranteed Rate for current rates and for more information.